If you’ve been considering diving deeper into the cannabis culture – the Calgary Cannabis Club (CCC) is a good place to start. 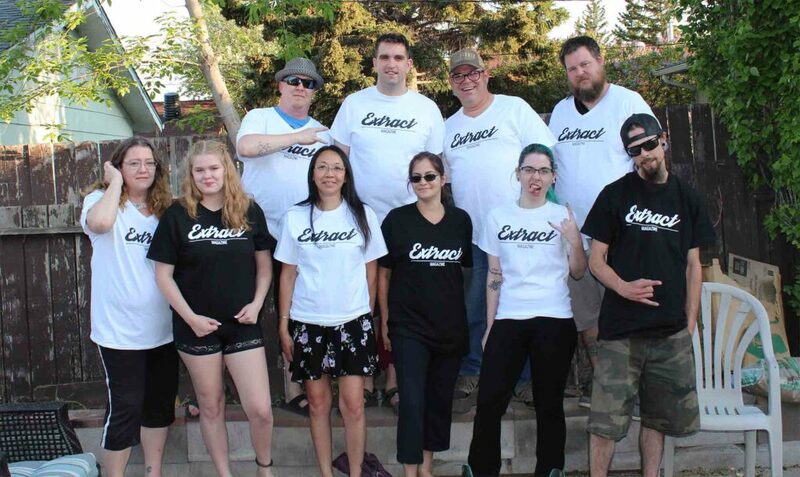 With a following of over 1500 on Facebook, the CCC is pushing the scene locally, connecting cannabis users with the information they need and providing organization to the cannabis movement. In the form of marches, weekly meetings, educational information sessions, barbecues, poker games and more, I can see why the group continues to experience growth. The Extract Team had the opportunity to meet a bunch of great folks from the CCC. After attending a few Wednesday meetings we wanted to sit down with the club to find out how they’ve built such an awesome community that we had rarely heard of in the past. We interviewed Pat Parsons, the CCC public relations representative, here’s what he had to say. The CCC has been together approximately two years. The club was formed was after Dana Larsen was in Calgary with the Overgrow Canada Tour the first time. He was arrested by the Calgary Police Service along with our president Joe Ferg. The club basically started right after that. Did the club already have a big following prior to legalization chat? The Calgary Cannabis Club started fairly small but the numbers are growing quick. We’ve attended most of the expos that have been in town and had a booth there to bring more recognition to the club, and connect the community with involvement and education. We try to base our goals around education and activism and providing a social comfort and awareness to cannabis as well a comfortable place to meet for recreation and medical users. Does the club target any type of person specifically? No we try to be all-inclusive. Our goal from the beginning was to be completely inclusive whether you’re a medical patient, we have a ton of information for you, and we’re not turning our back on recreational users of cannabis at all, they have as much rights as anybody else. We feel like legalization is another level of prohibition. It’s the recreational users that are going to suffer the most through the legalization process. Like I mentioned before, we try to be all-inclusive to men, women, children, seniors, medical patients, recreational users and anybody that is interested in cannabis. As for the makeup of the club today, who attends your meetings and events? I’d say we have a bit of both when it comes to recreational and medical, a little heavier on the medical side of things. That’s one thing I think legalization might help, increasing the number of recreational participants and cannabis enthusiasts. My point of view is whether you’re medical or not, you’re still getting medical benefits from cannabis if you’re a recreational user without a prescription. Where is home base for the CCC? We’ve been in Penbrooke for just over a year now. We were at another location in the South previously. Our goal is to find a forever home, maybe a storefront you know – somewhere we can call home and put a big green leaf in the window and not be ashamed anymore and hide in the shadows. It’s just a matter of time before we find our permanent or what we call our forever home. Has there been any backlash from the community or have they been receptive of the movement? I’d say it’s been quite receptive. With both spots we’ve been, the communities have been accommodating. Some people don’t like the smell, so I think a little discretion comes a long way when it comes to cannabis. When it comes to events and marches how is the CCC active in the community and which events have been the most successful? 420 this year was great, we had a huge turnout this year and in the past. Same with the Global Marijuana March which we brought to Calgary, we’ve done that event for two years now. and it’s a world wide event. There are no organizations in Calgary to bring the march together so we’ve focused on creating a unified event. We also work with Calgary 420 and NORML, we work with all the other active organizations in Calgary. The CCC tries to have an event at least once a month – We had a potluck recently, run charity drives for the needy especially in the winter months, craft fairs, a real range of events. We run a variety of events in the park that are family, pet and child friendly. We keep the medicated stuff away from the kids- it’s really simple and very inviting for anyone to join. What can someone expect to see and who can they expect to meet attending these events? It’s a bunch of everybody! We have seniors, medical patients, we have board members that are actual drug testers, lots of people very knowledgeable in a lot of subjects as growing your own cannabis, processing your own cannabis, and pretty much everyone you can imagine. We have a rosin press at the club. 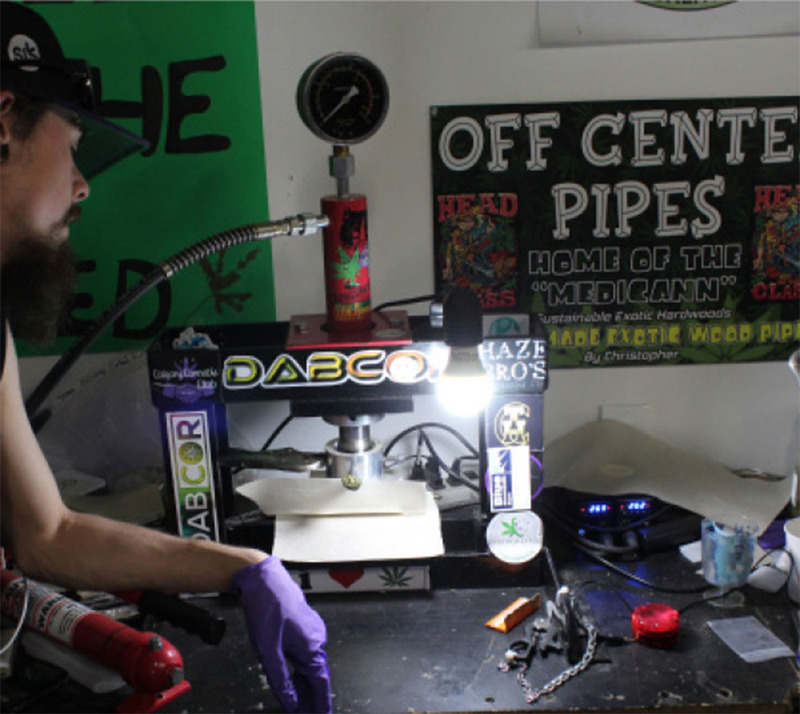 Members can bring their own cannabis and press for a solvent free extraction. We’d like to send a thanks to Dab Core for that. How do you become a member and is there any costs associated with it? We just started charging memberships but we survive on donation for the most part. Our membership is 10$ a month or 100$ per year, we also sell 5 year memberships for 420$. The membership includes unlimited access to the club. We’re open 5 days a week and Wednesdays are always free for anyone to check it out. Wednesdays are our weekly meetings and anyone is welcome. You can come use the press with a donation. The club membership includes entry to all of our events – our picnics, our potlucks, craft fairs or events that typically require a 5$ or 10$ entry fee are free for members. What can someone expect their first visit to the club? 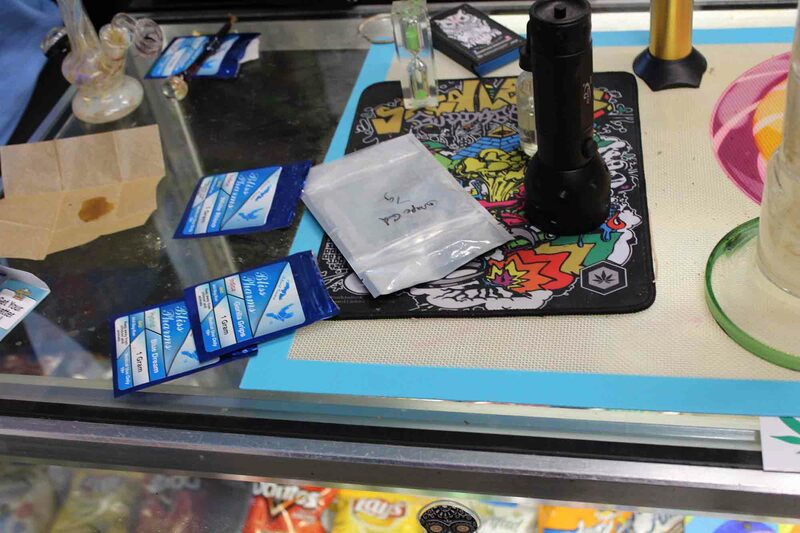 We have comfortable furniture, various ways to ingest your cannabis – Joints, a dab bar, e-nails on sight for you to pick the perfect temperature or size of your dosage. A few items like pipes and rolling papers for sale in case anyone needs an item. A foosball table, a large TV for our popcorn nights that feature medicated popcorn, cotton candy and lots of treats for our Sunday poker nights. There’s a lot of educational material in pamphlet and flyer form on sight at the club for anyone looking to learn anything cannabis related. Nearly everybody on the board is extremely knowledgeable in terms of treating illness with cannabis, different ways to process it, edibles, and a bunch of great minds looking to share education. For those that might be nervous to come to meetings in fear of backlash from employers etc, what do you say to those who are still burdened by the stigma that comes with cannabis prohibition? I think the stigma is the biggest hurdle we are going to have to get over. That will disappear slowly over time as people get more educated. The amount of misinformation and scare tactics, it’s worked really well over the last 50- 80 years. They did a good job at making people believe that cannabis is bad in general, and although it’s not for everyone I would say it’s quite the opposite. In terms of the general attitude, it’s going to take some time to change, and those attitudes only change through education. It’s interesting to see the changing perceptions in the corporate world. How many so called “business people” moving into the thought process – “it might have been bad, but it’s not that bad, I might as well invest some money into it”. For me I am more of a libertarian I guess you could say, I just want to see the plant liberated from the grips of prohibition and demonization. Any future plans for the clubs expansion? I think as the club has grown out of it’s infancy we’ve connected with other activists and individuals and organizations connected to the educational side of things, and people more willing to challenge the government and stand for ethics, including some recent convictions. We’ve been very supportive of Jerry Martin and his constitutional challenge that’s been coming up. Dana Larson we also brought him back again since the arrest. We’ve given away thousands of seeds in Calgary. We try to educate people about the stories and help these individuals financially when they need it. There are instances where the community has really bonded together under a cause. We’re just trying to free a plant here and they’re still arresting people right now. For someone who wants to join the club, how do they go about contacting you guys? The best way to contact us is on Facebook, our group is getting larger everyday, I think we are at about 9000 members so far. Through FB you can contact any of the admins, and all the admins are on the CCC board of directors – they will tell you where to go, how to get to the club, what events are happening etc. To join just join the Facebook group and contact the admins. We have 3 simple questions to answer and you will gain access to see all of our content and event postings. Your team has an interesting way of appointing the board of directors at the CCC, how does that all work? We are actually a registered non-profit society (club) in Alberta, so our name is registered and we are accountable to the government for our standards and procedures. The CCC has a board of directors that is voted in every year at our general meeting, so if you’re a paid member in general standing you can come vote for representatives in the fall. It’s a great way to give all our members a voice by allowing nominations for a position, or votes for someone that is already running. We usually do the voting over a two- or three-week period to ensure everyone has an opportunity to get involved. All walks of life comes with varying schedules, so we try to accommodate everyone in the process. We try to keep it open, honest and transparent through our financials and all the events that are happening. How can our readers donate to the club? We have a ton of very passionate people in Calgary who are behind the club and we love to give back to the community, so everything helps. What does a positive cannabis policy look like in your eyes? I think just stop arresting people all together for cannabis. It makes no sense putting people in jail for a plant, it just doesn’t make sense. Any convictions that involve jail time should be completely removed. There needs to be some regulation, but the government has already sold us cannabis that’s been tainted with pesticides. If the government wants to do the right thing, they would test everything and anything and they will really take market share form the black market. People want to know where the product is coming from and that the testing is accurate. They can’t until now, all the years people have been growing cannabis behind closed doors. There’s a lot of skill there and there is a lot of really high quality cannabis being produced that has no quality controls and no government involvement at all. Join the Calgary Cannabis Club on Facebook here. Cool I would like to go one day. Where are the meetings? Wednesday evenings for members I believe, follow them on Facebook for updated locations.